David Le/Gloucester Daily Times. 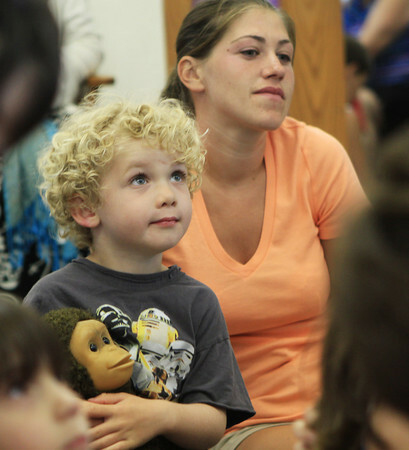 Jake Zschau, 3, and Lydia French, of Manchester listen as guest musician John Root performs during A World of Music program held at the TOHP Burnham LIbrary on Monday afternoon. 7/11/11.